James Davies – A dog. 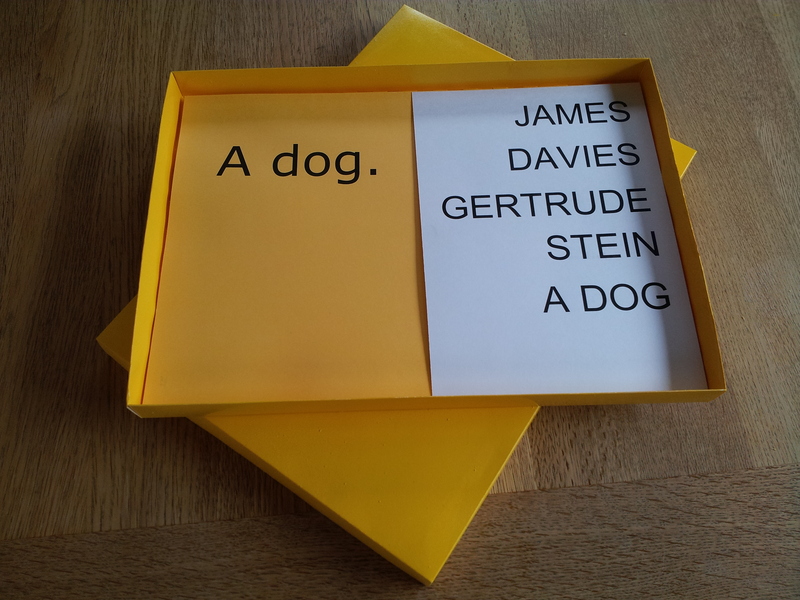 Using a portion of Saving the Sentence from Gertrude Stein’s How to Write, A dog is a sixteen panel minimalist sequence on yellow card, presented in a yellow box. Please email mail@zimzalla.co.uk for details. James Davies is a poet whose collections include Plants and Acronyms. He is also the editor of if p then q and co-organises The Other Room resources website and reading series in Manchester. His own website can be found here.